Note: The Rose Garden is closed through Friday, April 12, to allow crews to mulch the beds for the new season. 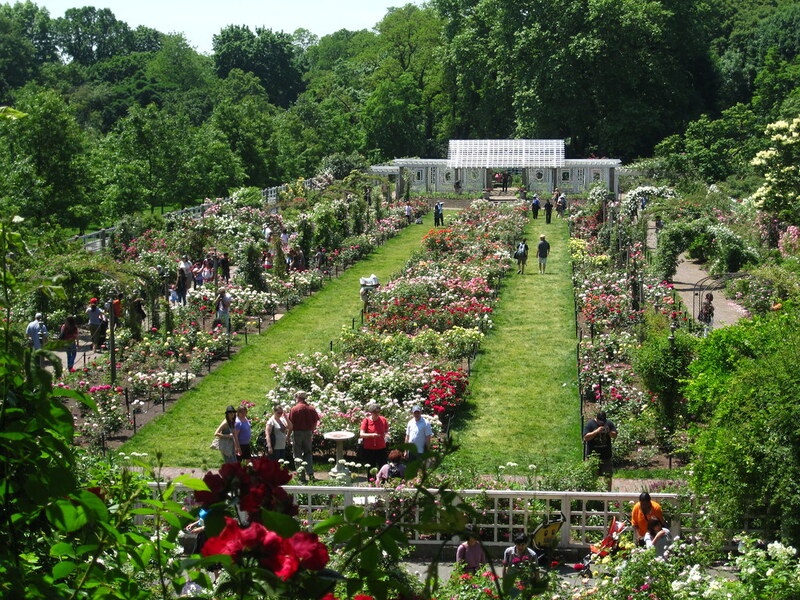 The Cranford Rose Garden has been one of BBG’s most popular attractions since it first opened in 1928. In June, when the roses are in full bloom, tens of thousands of blossoms cascade down arches, climb up lattices, clamber over the pavilion, and pose in formal beds. Here, in one of the largest collections in North America, over a thousand kinds of roses are cultivated. 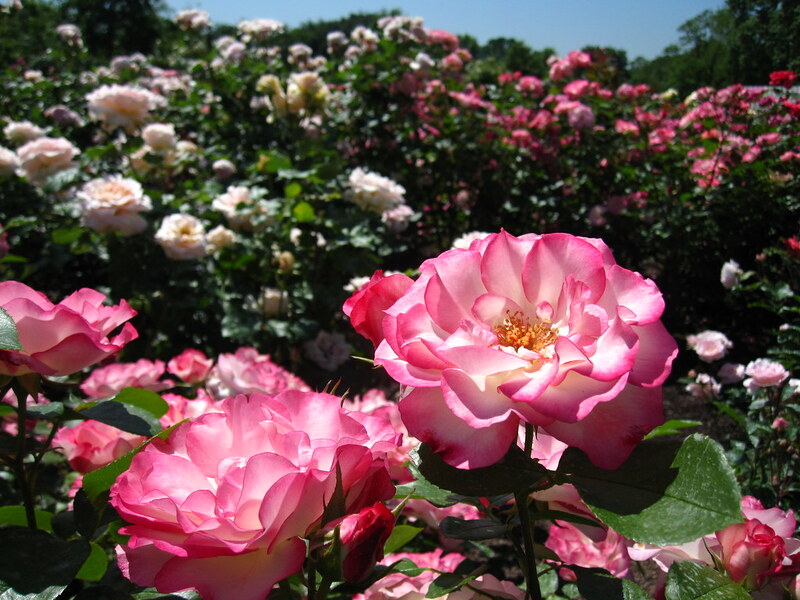 The Cranford Rose Garden is a repository for roses both old and modern, including wild species, old garden roses, hybrid teas, grandifloras, floribundas, polyanthas, hybrid perpetuals, climbers, ramblers, and miniatures. Some of the original roses planted in 1927 are still in the garden today. With more than a thousand different species and varieties, the Cranford Rose Garden is home to one of the most diverse rose selections in the country. Within its gates one can find a wide representation of species and heritage roses as well as prizewinning new cultivars developed for their beauty, disease resistance, and ease of care. In addition to presenting a lovely, fragrant landscape, the garden's display of recently introduced selections helps rose lovers make informed choices about what to grow in their own gardens, and its renowned collection of species and heritage varieties preserves the genetic diversity of roses. William Wallace is the curator of the Cranford Rose Garden. His horticultural career began with an internship at BBG in 2000, and after serving in various positions with the Peace Corps in Senegal, the Battery Conservancy, and Wave Hill, he returned to the Garden in 2015 in his current role. William continues to develop ways to maintain the Cranford Rose Garden as close to no-spray and organic as possible. He is excited about adding to the collection more fragrant varieties that have the classic forms reminiscent of old garden roses. 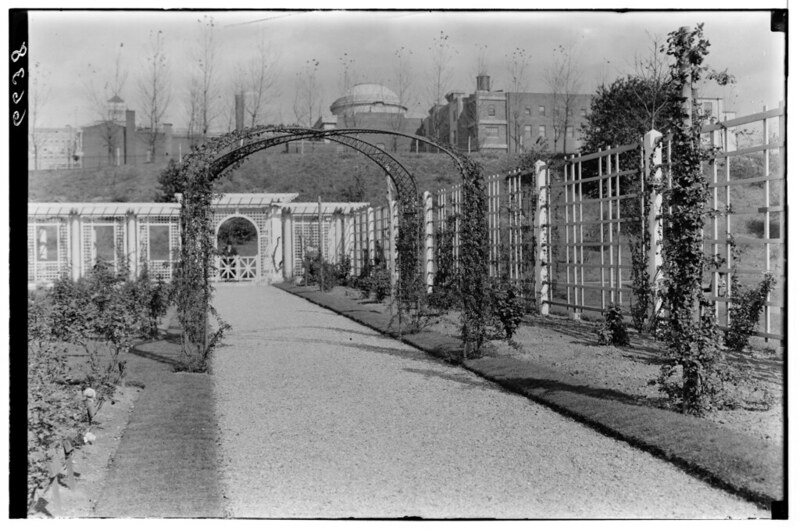 The Cranford Rose Garden is named for subway engineer and garden patron Walter Cranford, who donated the entire $15,000 cost of its initial construction. First designed by Harold A. Caparn and planted in 1927, the garden has undergone several renovations to become one of the largest and most revered rose collections in North America. With many All-America Rose Selections (AARS) winners as well as old garden roses and historically significant cultivars, the Rose Garden beautifully displays the horticultural legacy of this beloved flower. In 2009, rose rosette disease (RRD) devastated many of the plants in the southern beds and led to a major renovation, remediation, and restoration of the garden. Rosa 'Tiki' blooms in the Cranford Rose Garden. Photo by Rebecca Bullene.